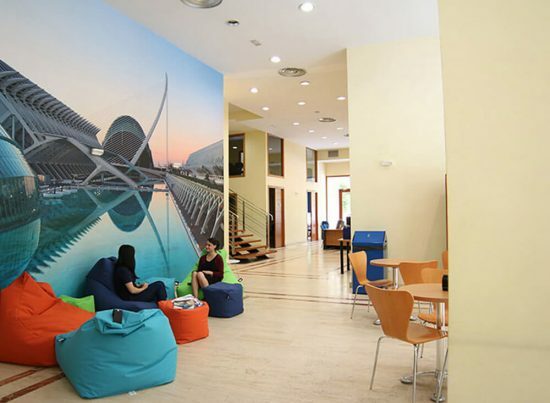 In addition to its famous, almost clichéd attractions — not to suggest that the popularity of Mediterranean beaches, paella, and the Fallas festival isn’t well deserved — there are many reasons why Valencia is the perfect place to learn Spanish, especially when you study at Enforex. We’ll tell you a few of them, but you’re sure to discover new reasons of your own during your time in the city. 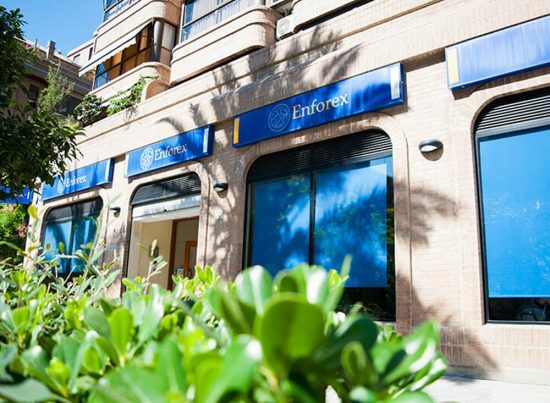 Enforex Valencia is in the heart of the university district, the best environment for studying and discovering your favorite place to meet up with fellow students after class. It’s also easy to take public transportation from our facilities to the beach and the city’s historic center. Nothing will help you absorb what you’ve learned in class and put it into practice like immersing yourself in the variety the city has to offer. Start by soaking in the dynamic atmosphere of the university district, full of bars, restaurants, and green areas where you can disconnect and unwind. After taking a mental break, you’ll be ready to continue advancing with your intensive course or preparing to earn your official Spanish certificate with the DELE exam, which you can take at our school. At Enforex we’re convinced that one of the keys to improving quickly is sharing your experience with new friends who are also learning Spanish. You’ll be in the ideal neighborhood for meeting other international students, especially if you choose to live in our residence, located just a few minutes away so you can easily walk to class. Do more than just hang out together in the school’s common areas: make the most of your time outside the classroom by taking a half-hour stroll to the famous Malvarrosa beach, which has the best ambience of all the beaches in Valencia, or head downtown to explore. Set small daily goals to continue making progress: go grocery shopping at a local market, speak in Spanish with all your waiters, or, if you’re feeling especially confident in your abilities, take advantage of the city’s thriving cultural scene and go see a play. If you start to see a specific area where you’d like to improve, we offer private classes tailored to your interests and needs so you can fit them into your schedule whenever is best for you. At our school we also have a series of cultural and leisure activities, so you can keep building your language skills as you and your classmates enjoy learning more about Spanish life together. 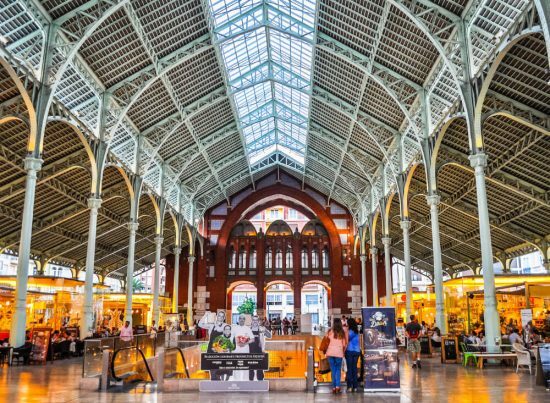 You can sign up for guided visits around the city and its must-see attractions, from the historic Silk Exchange and always buzzing Central Market to the futuristic City of Arts and Sciences. 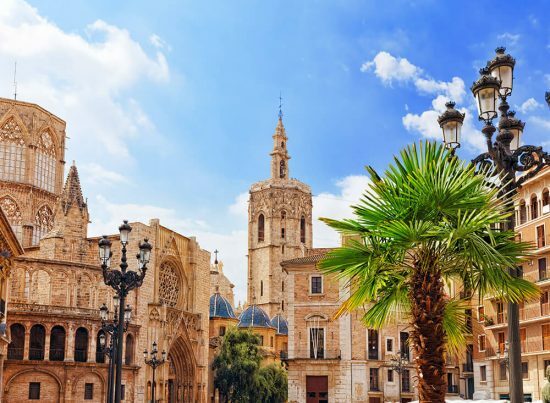 You’ll also have the chance to expand your vocabulary with tapas dinners, movie screenings, special language workshops… we’ll even take you to visit nearby cities on the weekends. Get ready to enjoy a lively pace of life, Mediterranean cuisine, and the relaxed atmosphere that comes with spending your days close to the sea, all as you learn Spanish! 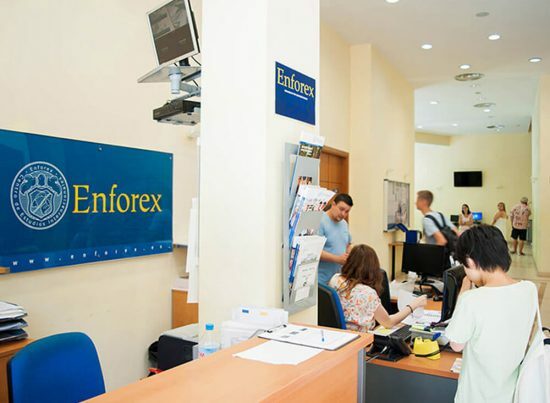 At Enforex Valencia you’ll find the ideal combination of learning and fun.